If you’re in the unfortunate situation of having to defend yourself against criminal charges in a court of law, one of the fundamental decisions you’ll need to make is who will represent you in your defense. Let’s get one option out of the way immediately – defending yourself. You certainly have the right to represent yourself in court. But it’s not easy, and we would not recommend it. If you do the smart thing and choose to have a professional (i.e. an actual lawyer) represent you, you have two broad options. You can hire a private attorney or you can allow the court system to assign a public defender to you. For some, the option is clear. Engaging the services of a private attorney can be expensive, and without financial resources, your only option may be to make use of the public defender. But if you can afford it, there are some advantages to having a private lawyer of your choice working for you. Be careful, though, using a private lawyer can be more expensive than you think. Public defenders typically have a high workload, and may have to handle dozens of cases assigned to them at any given time, without any opportunity to decline new clients. 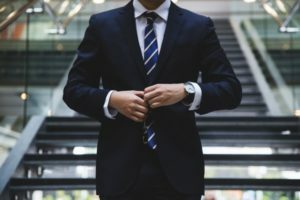 Private attorneys, on the other hand, have significantly greater latitude when it comes to taking on new cases, therefore a lawyer that you hire will be far more likely to have the bandwidth and focus to get to know the details of your case with more one-one-one consultation, and explore all available options to build your defense. A private attorney is likely to have a broader network of support services and resources that they can draw on to build your defense. This includes private investigators, labs and testing facilities, and other consulting lawyers that have specializations that may be relevant to your situation. Private legal practice is a competitive industry. Lawyers and law firms have to do a lot of work to stand out and be discovered, and prove their value to potential clients. While some law firms choose to do this by deploying a large advertising budget to get your attention with bad highway billboards, most seek to develop a good reputation through successful outcomes. What this means in practice is that they have a tendency and an incentive to seek a winning outcome for their clients rather than accept a plea deal, which is a common tactic of public defenders in order to close out as many cases as they can as quickly as possible. You may have heard of cases where a private practice lawyer offers their services at no cost. This is know as “pro-bono”. It can happen with high-profile or unusual cases in which the lawyer is able to gain attention and self-promotion through, for example, significant media coverage of the trial, and some law firms require or expect their lawyers to take on a proportion of work on a pro-bono basis for clients that would otherwise not be able to afford it. In a few cases, the lawyer is simply and genuinely providing their professional expertise in a case in which they have a strong personal opinion or interest. In Maryland, you may be able to attain low-cost or free legal help through such programs, but the criteria for participation can be narrow, and the opportunities limited. If you choose to use a public defender (or need to), you won’t get to choose which one. As per the constitutionally required Miranda Warning: “You have the right to have an attorney. If you cannot afford one, one will be appointed to you by the court“. You will not have a selection of public defenders to interview and select from, and you won’t have any opportunity to assess their competence or judge their record before they are with you in court defending you against the charges. Of course, don’t assume that a public defender will do a poor job representing you. In fact, many skilled and passionate lawyers choose the path of public service as a way of giving back to the community, and provide a high level of service within the resource constraints of the system in which they work.